It’s the age-old question: traditional razor or electric? Most people have their own preferences. And if you’re a die-hard traditional shaver fan, you’d probably never even consider using an electric shaver. You know what works for you, after all. But, then again, there are some benefits you’ve probably never even considered. For that reason, we’d like to share 10 benefits of using electric shavers. We’ve all been there: you’re running late for work, rushing out the door, and you realize — you forgot to shave! If you’re using a traditional razor, you’ll have to run upstairs, run the water, get out your shaving cream … depending on your routine, you may even have to get in the shower! But with electric shavers, all you have to do is turn it on and go. You can be shaved and be running out the door in minutes! This is one of the main appeals of electric shavers. Traditional shavers require water, shaving cream, and/or soap. All of this product use can really add up! In addition, traditional shavers generally don’t last very long. 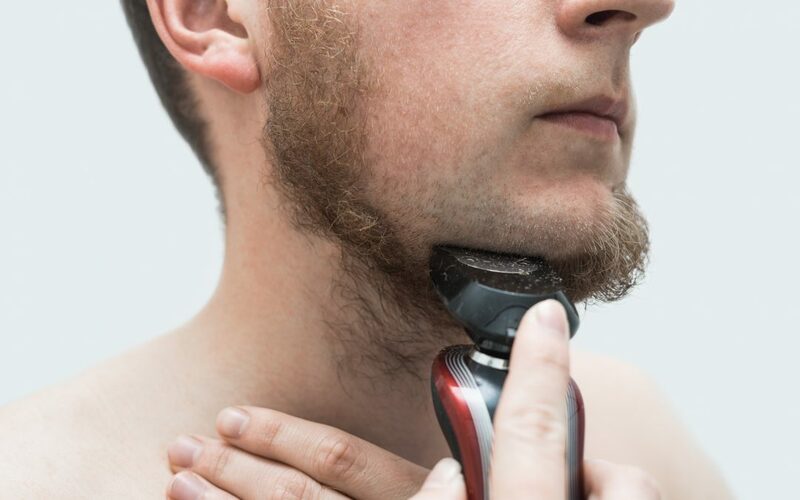 While electric shavers wind up costing a bit more up front, they wind up saving money in the long run because they’re all you need to get a good shave. You don’t have to rely on creams or soap. They also last years, as opposed to traditional shavers which only last months. The fact that you don’t need to constantly replace them is a huge plus. Nothing is more painful — or more unsightly! — than nicks, cuts, and ingrown hairs. Everyone has experienced the pain of a cut at one point or another. But electric shavers are much less likely to cause these skin irritations. Because the skin is protected from the blade by the foil, you don’t have to worry about it cutting you. Many men like using electric shavers because it allows them to have exactly the amount of stubble that they want. Shavers like these have settings that allow people to control the intensity of the shave. For people who are maintaining beards, this feature can be a godsend. Traditional razors have only one setting: high. But electric razors can get far more precise than that. If you want control over how much hair you’re shaving off, then buying an electric razor is definitely the way to go. When you’re shaving with a traditional razor, it’s easy to get nervous. You don’t want to worry about accidentally hitting something sensitive. Because of the foil we mentioned earlier, however, you don’t have to worry about this happening. You can comfortably shave anywhere on your body without worrying about the blade hurting it. This allows you get more creative with the angles you’re using, and allows you more freedom. Say goodbye to that hard to reach spot behind your knee or near your ankle! Your electric shaver has it covered. We touched on this earlier, but it’s worth repeating: electric shavers last so much longer than traditional shavers! Traditional shavers last, at best, a little over a month. And some of them last a lot less than that. Cheaper razors will only last a couple of weeks. Electric shavers, on the other hand, can last 3-5 years at a minimum. And some of the more high-end ones last up to seven years! The time and money you will save by having an electric razor is enough of a benefit on its own. You’re a bit limited when it comes to a traditional razor. You can really only shave in the shower, or by your sink. But with an electric razor, as long as you’re near an electrical outlet, you’re basically good to go. Despite being a bit bigger, electric shavers are actually more portable because of this! If you’re sick of being chained to the bathroom when you’re shaving, then the electric razor is definitely the way to go. You won’t regret this purchase if you buy the right one. So, you don’t have to use an electric shaver with water. But did you know that you could? Most electric shavers are perfectly safe for you to use with water, if shaving that way makes you more comfortable. So if that’s not an aspect of traditional shaving that you want to give up, that’s fine! Electric shavers are versatile because they can shave in both wet and dry conditions. And doing one more than the other won’t affect the razor’s health in any way! You can do things your way. There are different razors out there for anything. Some were made for your face. Some were made for your legs. Some were made for men. Some were made for women. Have you ever looked at them and wondered, what’s really the difference here? Well, so have we. And we’ve decided that there isn’t really a difference at all. That’s why using an electric shaver is so great. If you get the right one, you can use the same one for basically anything — as long as you keep it clean! We know where to find the best electric razors. In fact, we have a list of the best electric razors from 2018. This way, it’s easier than ever for you to find the perfect shaver for you. If you read over this list and decided to give electric razors a try, definitely check over our list. We promise that you’ll get your money’s worth out of these razors. If you have any electric razors that you love, be sure to let us know why you love them in the comments! And, if you need help choosing an electric shaver, we’re only an email away!